Lincoln, Neb. ― Nebraska farmers can learn how to give their soil a little love at the Nebraska Cover Crop and Soil Health Conference on Valentine’s Day. 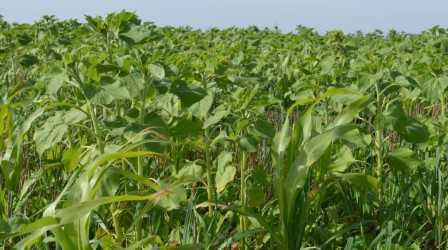 While there are many benefits to using cover crops, such as improved soil heath and reduced erosion, it’s the details that can present challenges. The conference offers problem-solving information for growers, from those just getting started to those already integrating cover crops in their operation. There is no fee to attend, but individuals must pre-register by 5 p.m. Feb. 8 to ensure meals and resource materials are available. Seating is limited. To register, call 402-624-8030, email cdunbar2@unl.edu or use the form at https://go.unl.edu/tmj5. This year's conference is sponsored by Nebraska Extension, the Nebraska Soybean Board, the U.S. Department of Agriculture’s Natural Resource Conservation Services, the Lower Platte North Natural Resources District and USDA Sustainable Agriculture Research and Education.